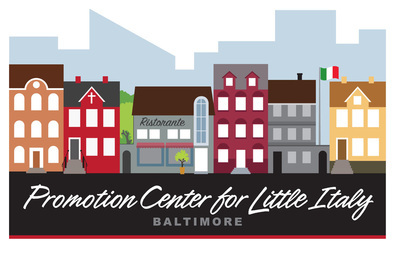 Promotion Center for Little Italy, Baltimore, is a 501(c)(3) nonprofit organization. Our mission is to act as the central 'voice' for Little Italy as an ethnic neighborhood as we provide consistent communications and events promotion, conduct fundraisers and promote the neighborhood's heritage and history. Take a few moments to learn what we do - and why - for Piccola Italia - Little Italy, Baltimore. Your questions and comments are welcome: info@LittleItalyMD.com. The Promotion Center for Little Italy is a 100% volunteer-run 501(c)(3) nonprofit organization. Your tax-deductible donation is greatly appreciated to help fulfilll our mission.